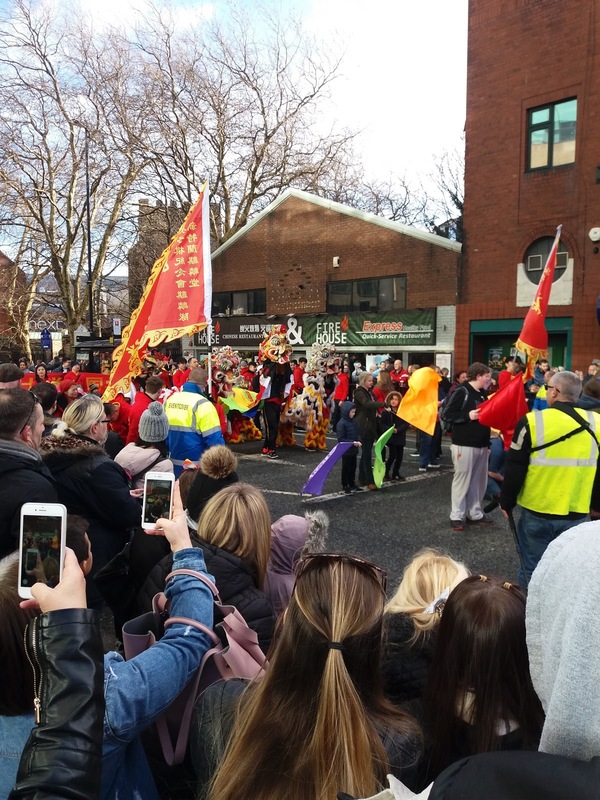 A bright, crisp, blue sky day as Newcastle's Chinese community put on a show to celebrate New Year, the 'Year of the Pig'. 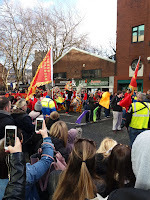 Local dignitaries waited patiently as crowds lined Gallowgate to watch the spectacle; a Chinese dragon leading the parade from Eldon Square to China Town, shimmering cymbals, beating drums. In anticipation of inordinately loud firecrackers, it was time to engage in some retail therapy. 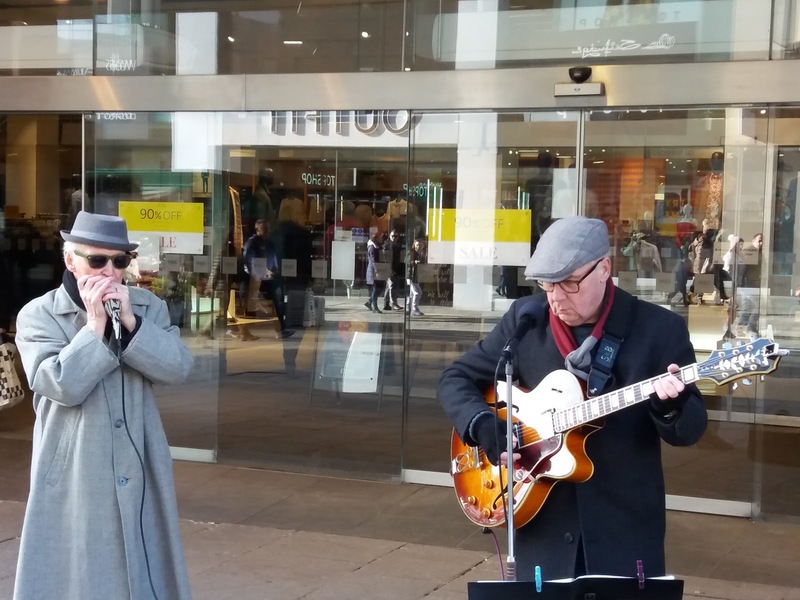 The sounds of a wailing harp could be heard up there on Northumberland Street. Ah, Scotswood Slim, no less! 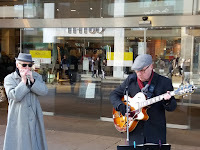 Slim (aka Brian Lynham), No Time for Jive's long-time frontman, to guitar and vocal accompaniment, paid tribute to Muddy Waters' sideman Jimmy Rogers with a spot-on version of Walking by Myself. The full band line-up can be heard at Cullercoats Crescent Club on Friday 12 April. At four quid on the door that's a canny jump jive night out.